The re-emergence of french cuffs coincides with a renewed emphasis on Men's fashion. Cuffed shirts can be worn in either casual or formal situations. French cuff dress shirts are not the exclusive domain of the wealthy or high society types anymore. We offer both round french cuff shirts and square french cuff shirts. You can see the images of the cuffs both above and below. We also have a nice selection of cuff links for you to choose from. Any of the fabrics on our site can be tailored with french cuffs, you decide all the custom options on your shirts with us including the cuffs. A french cuff is created when you take a traditional cuff and you make it twice as long so it can be folded back on top of itself. The cuff is referred to as a french cuff or cuff link dress shirts since the french cuff is worn almost exclusively with cuff links. The amount of fusing material used in the french cuff is a lot less than a traditional cuff since it will be folded back. Sometimes the more fashionable will wear a french cuff with the cuff not folded back and extending beyond the sleeve of their jacket. 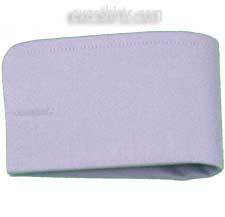 The french cuff does not have any buttons but has two button holes to accommodate cuff links. 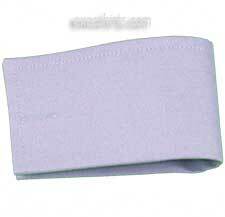 As mentioned above the french cuff comes in two varieties where the edges are either round or squared.